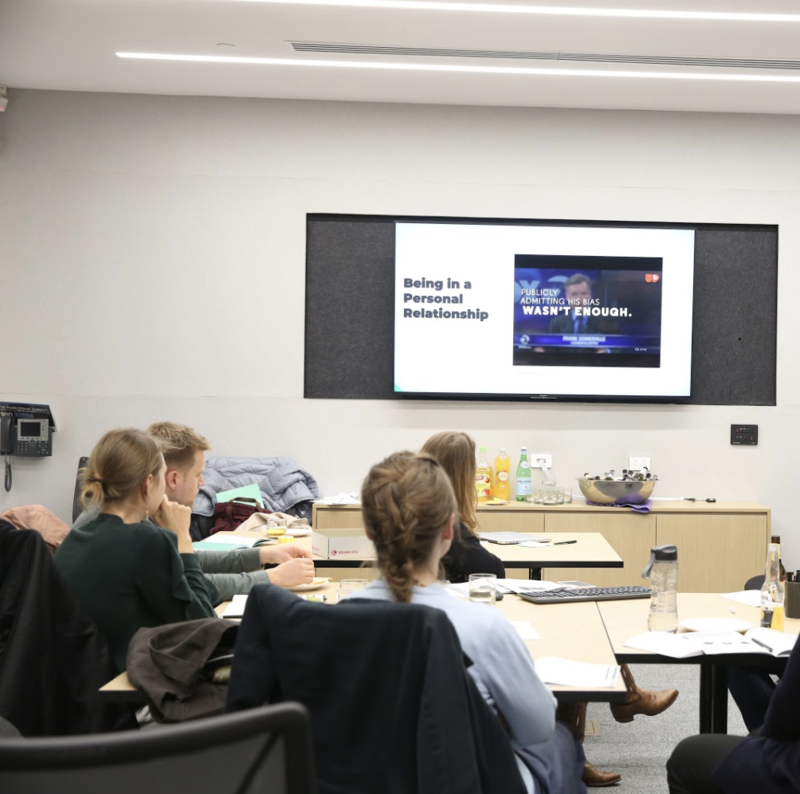 In the third instalment of the Design and Ethics series I had the opportunity to host part of a workshop series, Equity-Centred Design. This post will describe the ethos of the research behind this work and what arose in our group discussion. Equity-centred design means approaching human-centred design with greater awareness of and responsibility for identity, power and systemic inequality. 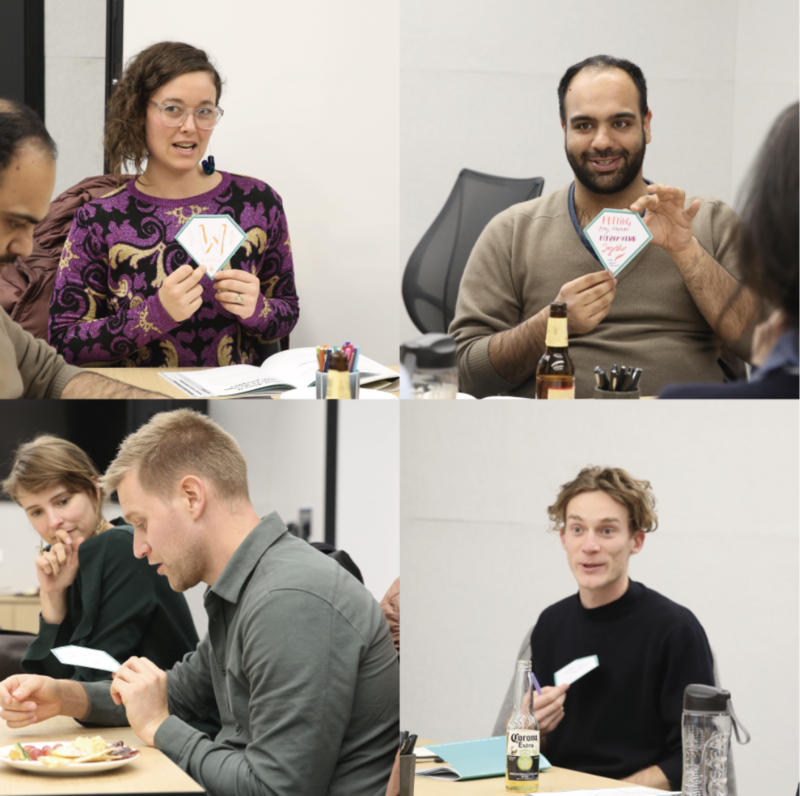 These workshops were created to help designers engaged in people-centred practices to understand how and where issues of power and equity arise in our work. It aims to facilitate self-directed awareness around our axes of identity and how our professional practices place us in relative positions of power. As a profession interested in creating products and services to better serve people’s needs, our work and concerns often have us looking outward to other people, places and systems to identify issues and make changes. The approach taken within equity-centred design instead facilitates looking inward to better understand ourselves, in order to better serve others. This means bringing attention to our behaviours and biases and investigating how it might affect our work. It was a windy Monday night on which our intrepid participants trekked Southside to Monash Caulfield. Feeling the need to let people go as close to on time as possible, we cut the workshop much too short and then ended up sitting around and discussing the work until much later. This was unfortunate, but the upside was the group expressed interest in creating an opportunity to participate in the full workshop series and offered support to help make this happen in the near future. I don’t want to reveal too much of the content of the workshop, as hopefully many people reading here will have the opportunity to experience the work directly and then we will be able to share a more detailed commentary on the experience. After an introduction to the framing of the work, we warmed up by looking at what are our ‘superpowers’ as designers who work with people. Many people shared their ability to create safe spaces for others and listening skills. This activity helps us orient the kinds of practice and values of people in the room, but also provides a starting point for critical reflection: our strengths can often become the areas where we most readily fall into patterned thinking and behaviours. Over time this allows biases and past experience to dictate our actions in new situations. As a group we examined case studies selected to resonate with design practitioners’ experiences and illustrate different types of power dynamics. This provided space for people to share thoughts on the challenges when faced with issues of equity in our practice and personal lives. The conversation could have used more space to unpack how and where these case studies reflect on our personal practices. The workshop ended with an introduction to what we call the roadmap for practicing equity-centred design. The roadmap was developed based on work from behaviour change models, research on implicit bias and structural racism, diversity trainings and experience working with social justice organisations. It was designed to help understand what it might look and feel like to do the work of examining and taking responsibility for our own biases, behaviours and positions of power. Within the full workshop we go through each of these steps to hopefully provide a small way of what the process of doing this work might be like for you. Ultimately we hope to through this process we are able to share stories about our experiences and help make visible the invisible, everyday power dynamics and prejudices implicitly influencing our communities, designs and systems. It is our hope to host a full edition of the workshop in the near future. Stay tuned for details. There is an amazing global team of women who collaborate with me on this work. Myriam Doremy Diatta co-created all of the content and design of the workshop, Stephanie Lukito created all the visual materials and Tina Dinh helped with photography. This research is supported by WonderLab at Monash University.